Author’s note: My research on this topic was done while visiting the Ungku Aziz Centre in the Faculty of Economics, University of Malaya, in January 2019. Many thanks to the Faculty for their hospitality. Economist (2017), “Deformative Action: Malaysia’s System of Racial Preferences should be Scrapped”, 18 May. Khalid, M A (2014), The Colour of Inequality. 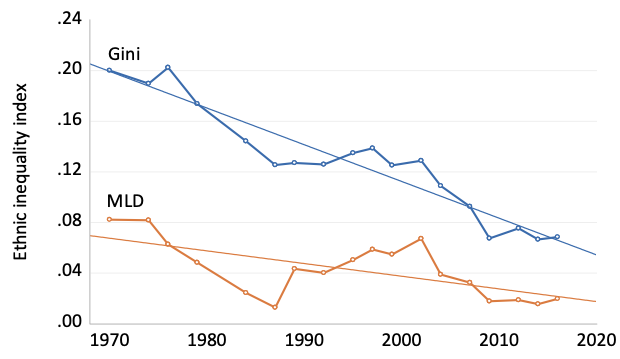 Ethnicity, Class, Income and Wealth in Malaysia, MPH Publishing. 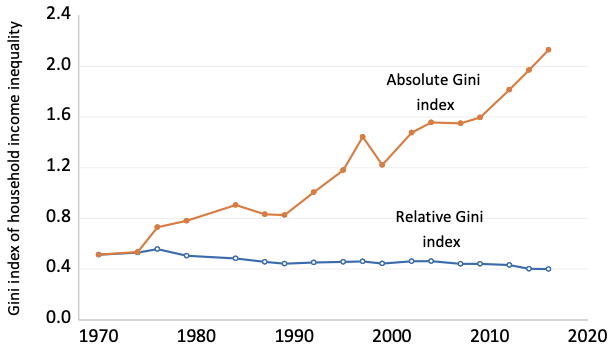 Ravallion, M (2019), “Ethnic Inequality and Poverty in Malaysia Since 1969,” NBER Working Paper 25640. 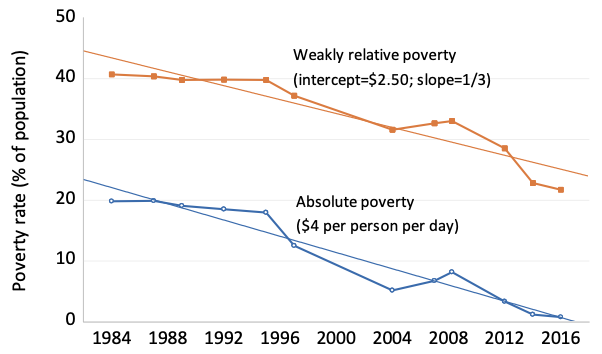 Ravallion, M, and S Chen (2011), “Weakly Relative Poverty,” Review of Economics and Statistics 93(4): 1251-1261. Thillainathan, R, and K-C Cheong (2016), “Malaysia’s New Economic Policy, Growth and Distribution: Revisiting the Debate,” Malaysian Journal of Economic Studies 53(1): 51-68.